We really enjoy Gordon's approach while helping us find a home. After the first time we met with him we knew we would be continuing to work with him. He is a very knowledgeable and made us feel valued. His honesty and expertise is very apparent and we look forward to continue working with him in the future. We thoroughly enjoyed working with Gordon and his team on the sale of our townhome and purchase of our current home. We searched for months for an inner city character home; Gordon showed us dozens of properties without ever making us feel like the slightest inconvenience. Finding and securing our current home - which we absolutely love - was the result of a great deal of persistence on the part of Gordon and his team and use of their connections and relationships within Calgary's real estate community. 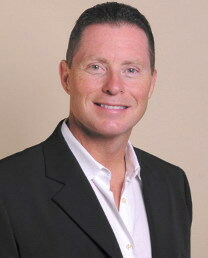 Of Gordon's many qualities which make him a superb REALTOR®, two stand out for us. First, his thoughtful considerations - useful, candid insights on our needs in a home, often knowing what would suit us before we did. Secondly, his talent for negotiation which was equally impressive to us as buyers and as sellers. Gordon and his team have acted for us on two sales; the experience was excellent and very professionally handled on both occasions. We were kept very well informed throughout the sales process and sold both properties at good prices. We have also purchased a property through Gordon as well where he again handled the transaction well and obtained the property we wanted at a good price. We found Gordon Ross to be what you hope a REALTOR® will be but rarely is! We'd like to thank you for the expertise you demonstrated with the recent purchase of our property. Throughout the process, you came well prepared with information on historical and active listings. Your extensive knowledge of the market in our preferred areas gave us a good understanding of how sales were trending. Although our long list of needs was most certainly a challenge to you, we never felt pressured or compromised in any way. We look forward to working with you again someday! We have been working with Gordon and Richard and their team both personally and professionally over the past six years for numerous transactions and it has always been an absolute pleasure. They possess an intimate knowledge of the Calgary real estate market and are unrelenting in their work to get the best value possible for their clients. Experience and tenacity aside, Gordon and his team possess an unparalleled network of buyers, sellers and industry professionals. I would most certainly recommend them to anyone.